The Rise And Shine Rabbitry’s Rabbit Cincher. 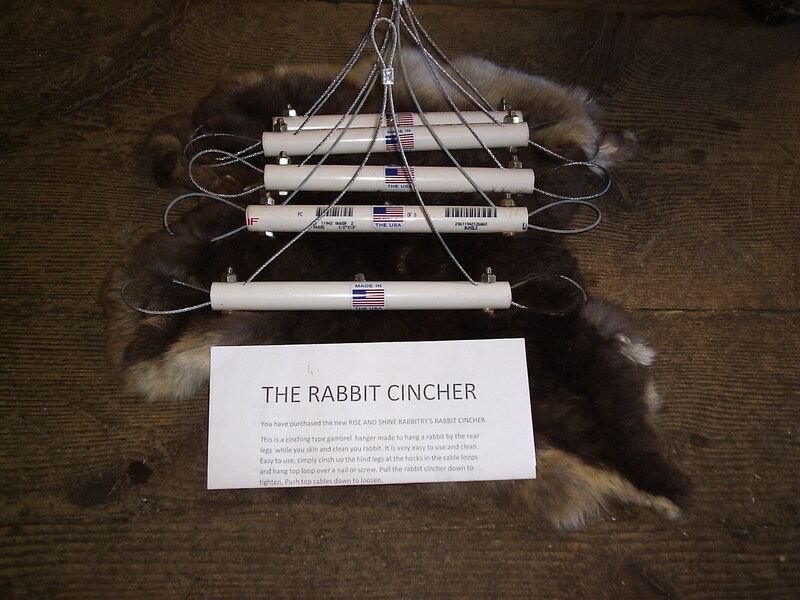 This device is made to hold the rabbit after dispatching for easy processing. This makes dressing a rabbit fast, secure, easy to release, and keeps the rabbit’s legs a set distance apart while providing the ability to flip it around. The Cincher is easy to clean and disinfect. These are made by us in the U.S.A. This unique device is only $20.00 plus shipping. As we will be concentrating on making the cinchers, Our friends at Bunny Rancher will be handing the sales here is the link to purchase. What a great idea! Thanks for making life easier!